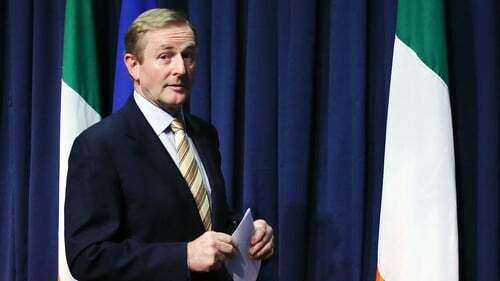 The Taoiseach has said that the discussions and negotiations that take place in relation to Brexit should take into account the possibility that a border poll may take place in the future. Speaking at the MacGill Sunner School in Glenties, Co Donegal, Mr Kenny said that the clause in the Good Friday Agreement for a border poll might be triggered if there is clear evidence of a majority of people in Northern Ireland wishing to leave the UK and join the republic. Mr Kenny compared the situation to East Germany when the Berlin wall came down and it was absorbed into the west without having to go through a torturous process applying for membership of the European Union. The Taoiseach said who knows what may happen in the time ahead but these are the kinds of things that should be looked at in the negotiations. Earlier, Mr Kenny said he has asked Minister for Finance Michael Noonan and Minister for Public Expenditure and Reform Paschal Donohoe to ensure that the upcoming Budget in October is "shaped by, and addresses, the challenges resulting from Brexit and to set out a national economic response." Mr Kenny said in relation to the Budget and Brexit, there will be a focus on the need to strengthen competitiveness or our personal and corporation tax for mobile investment. He said the focus will also include building a strong public support in Ireland for EU membership as a magnet for international investors seeking certainty and stability. He also said the focus will include the need to protect the strong recoveries in our tourism, agri-business and other regional, employment-intensive sectors in recent years, as well as the need to further diversify our export markets.